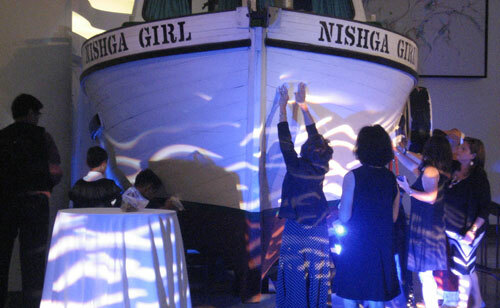 In the rebranded Museum of Canadian History, a blessing ceremony for the gillnet boat Nishga Girl was held on August 20th. The boat, commissioned by Chief Harry Nyce, was built by the master builder Judo Tasaka. In an act of reconciliation, the Museum has invited members of Chief Nyce’s family, the Tasaka family and the NAJC to participate. 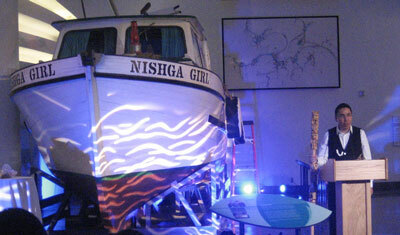 Nishga Girl is currently in a temporary exhibit in the Southern Salon of the Museum and she will be moved into the main gallery when the Museum officially celebrates its new name in 2017.